The Reformed Church of Orastie was built in the 13th century, Gothic style, together with the citadel wall that surrounds the church yard, and is a historical monument. Originally it was a Roman – Catholic church, and during the Reformation, around 1560, together with the parish, became reformed. About the founder, respectively the builder of the church, there are no documents, but allegedly it was an independent episcopal church, the episcopal cross found inside the church seems to prove it; this assumption is also supported by the fact that the Franciscan order had (and has) its own church and monastery. During the Turkish invasion of 1479 the town suffered a lot of damage, and the church was significantly damaged, the west side being completely destroyed. 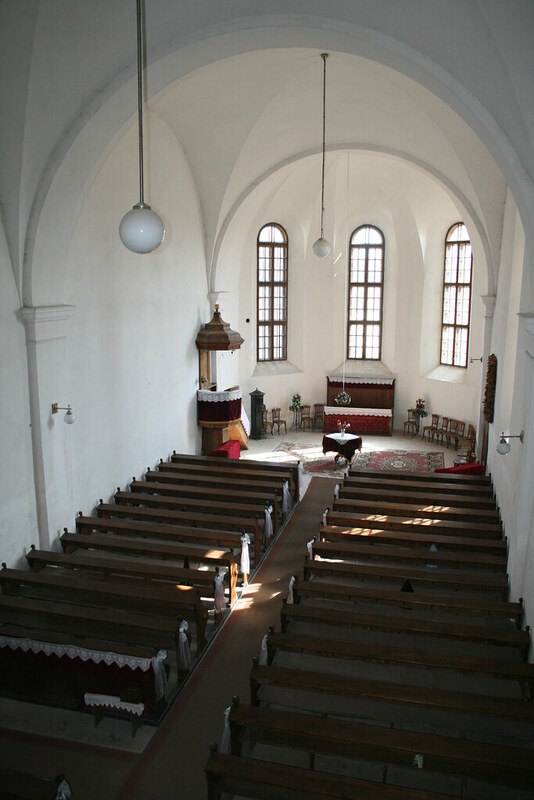 The eastern part between the small nave and the tower was rebuilt and taken over by the Reformed congregation. This explains the fact that in the city that was a Saxon stronghold, the church was turned over to the Hungarians Reformers and the Saxons received a space intended to be a vestry or lateral ship. This room was used as church by the Saxons until the building of their church around 1800. The Reformed Church has been renovated several times, first being the aforementioned renovation and came immediately after the Reformation. Another more substantial renovation was that of 1631 which was run with the financial support of the prince. In 1752 the church was renovated again, and at that time there was built a tower standing probably 7 meters over to the west than the current tower, with the possibility that the now existing eastern small ship, to have been complemented with a large ship of about 17 m, but fell victim to the devastation. The earthquake of 1839 has damaged the tower and the church. The part between the current small ship and the tower was never renovated, not worthing such an intervention. 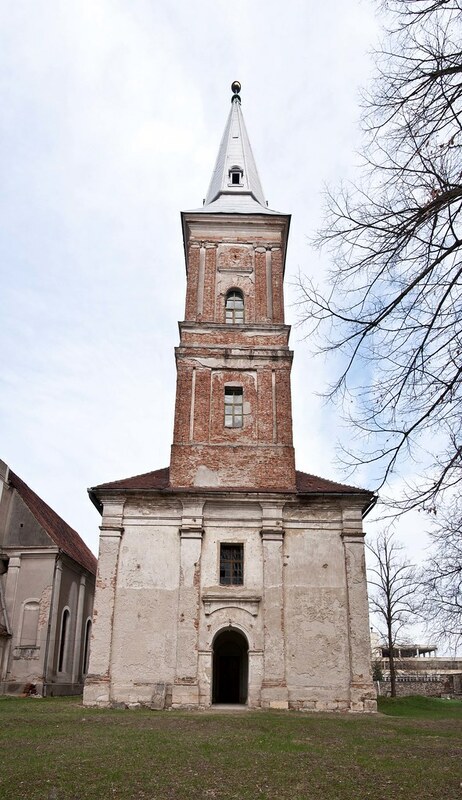 Instead, in 1844 was built a western ship tied to the current tower without having a certain style, thereby shortening the church with about 7 m. The old damaged tower was demolished and the salvaged building materials together with the bells destroyed were divided between the Hungarian and the Saxon communities. At that time, the Saxons built a special tower for their church, which was already under construction. The tower was finished in its present form only in 1893. The last renovation was done by the community in 1936, and it was self-funded. On this occasion the Gothic look of the church has disappeared, the high Gothic roof system was taken down, and the wall height was reduced. The roof and the arches have been completely transformed. The only things that remained unchanged were the exterior support columns. Also on this occasion the western ship and the eastern ship were split by a wall designed with a communication door, with the western ship being turned into a room for board meetings and prayers. In this part of the church was built a choir, and the organ, which used to be on the east end, was moved here. 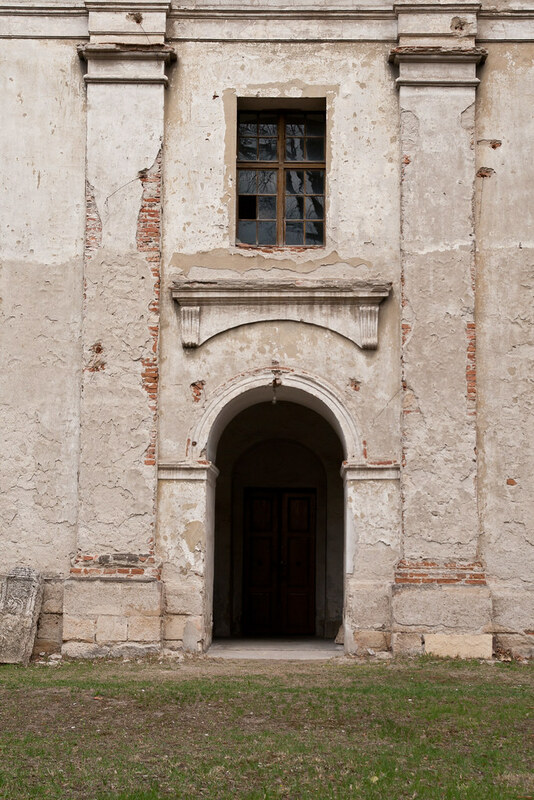 At the main entrance located in the north of the church, and left to this entry, there can be noticed some Gothic ribs and consoles. The exterior support columns are in good condition. Behind this portion of the wall has probably been kept a sanctuary, which was discovered during the last renovation. Here is located a headstone with a bishop cross. In the south side, to the point where the old part of the church is connected to the one built subsequently, there is a small tower designed with a spiral staircase, which was built only in 1936. The small tower's turrets is proof to the original Gothic style of the Reformed Church. 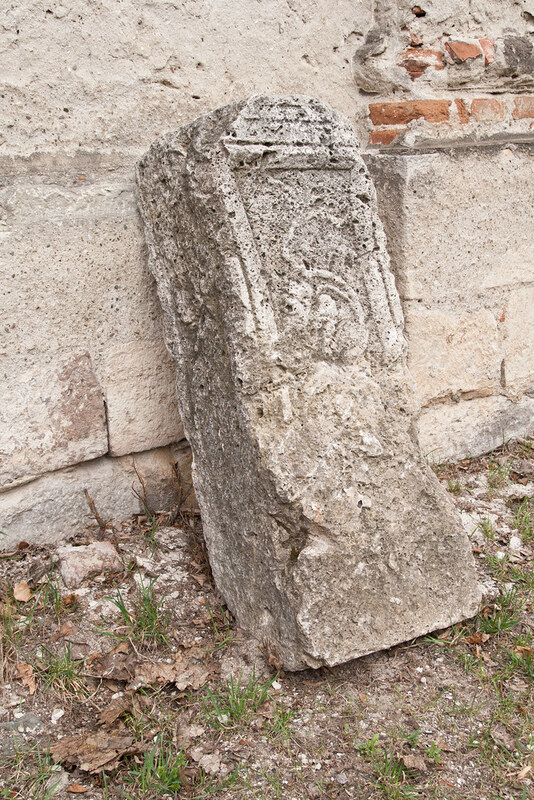 In the eastern portion of the church is built a basrelief belonging to the second priest of the church, Kecskemet Buzas, Janos. The tomb is dated 1612. In the boardroom is priest Bodola Karoly’s tomb. The Lord's table, the pulpit crown and plate which supports the crown are made by hand, being 100 years old and raising the admiration of the visitors. The organ was built around 1910, being equipped with a pedal and two levers for diapason changing. Initially, from within the church two tunnels were setting out north and south, but today they aren’t operable anymore. The land on which the church stands is surrounded by a defensive wall built in the 13th century, the wall being considered an historic monument and protected as such. The wall is provided with several bastions and the vaultings of the outputs are clearly visible. The Reformed Church also owns a library with books in Hungarian, printed in Deva, Hunedoara, Orastie etc. Currently the Hungarian Reformed community of Orastie include nearly 200 parishioners, who are ministered by the parochial reformed priest Sipos Szabolcs Attila. The Church hosts church services every Sunday and on religious holidays. During winter the services are held in the boardroom, and during summer they are held in the hall. There are also religious commemorations on Mothers Day which is celebrated the first Sunday of May, and Reformation Day, which is celebrated every October 31st since 1517 AD, and is celebrated with evangelical brethrens. 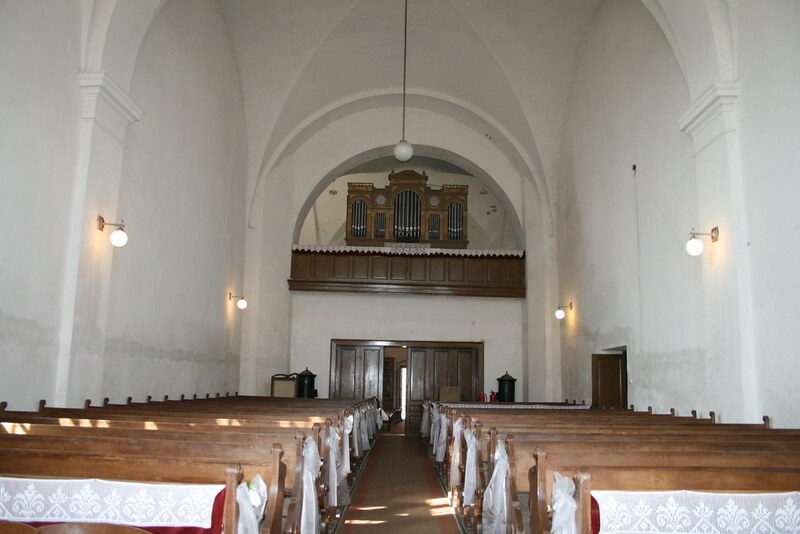 Now the church needs repairs and renovations and is in need of construction material and financial support, the last renovation taking place in 1936.